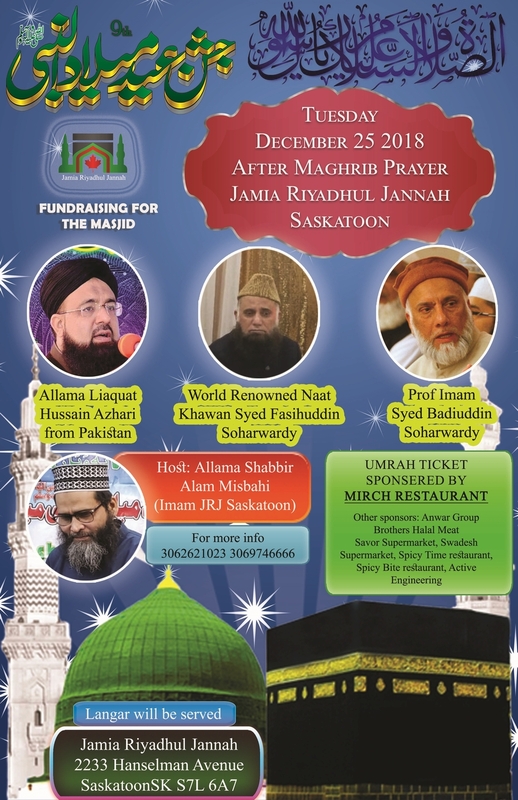 9th Eid Milad Un Nabi (PBUH) 2018 on December 25, 2018 in Jamia Riyadhul Jannah Saskatoon, right after Maghrib prayer. Special Guest: World renowned Naat Khawna Syed Fasihuddin Soharwardy visiting from Pakistan. Speaker: Professor Imam Syed Badiuddin Soharwardy. Come and join with your family and friends.